Z Prep! SAT registration and other information you need for the SAT | Z Prep! Besides registration and exam dates, SAT test taking techniques and study tips, there are some other important things we share with our SAT prep students to know about when preparing to take the SAT exam. 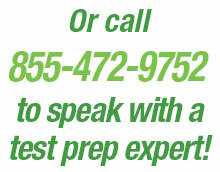 We encourage students to be thoughtful and approach the SAT with confidence and also with a solid plan for success. Juniors and seniors, secure your place on the exam date of your choice by registering early. The College Board website provides the test schedule and locations as well as online registration. If you are planning to take it soon, be sure you are aware of the next test registration deadline. Our experience has shown that students who are already familiar with the SAT exam do better than those taking the test only once. Repeating the SAT often results in a higher score the second time. To optimize your college entrance exam scores, one good tactic is to build your confidence and familiarity with the test format by taking practice exams as well as real exams more than once. Our recommendation to students who want to get the best score they can is to take the PSAT/NMSQT in their sophomore year, then follow up with the SAT in the fall or spring of their junior year, and then take the SAT again in the fall of their senior year. In any case, you can choose which SAT scores to send to colleges (some schools may want to see all your scores, but they will usually only consider the best ones). And, taking the PSAT first and then taking the SAT more than once gives you opportunities to improve your chances for scholarships and, with your better scores, for ranking well enough to get into the school of your choice. What about the new SAT format? The SAT has been redesigned to make it more relevant to today’s students. We’ve summarized some of the changes for you. Overall, we think students will be comfortable with the new exam, but they should be careful to understand what will be on the test and to prepare carefully for it. What’s the best way to prepare for the SAT? The biggest barrier to success on the SAT is not preparing, and by not preparing we mean both just before the exam as well as building a strong foundation in the years before taking the exam. Stay on track for best results – Don’t cram at the last minute, it doesn’t help and raises your stress level. Plan out a solid, disciplined study plan carried out 8-12 weeks before the test. If you meet your study goals, on test day you will feel comfortable and prepared. Test day – Small missteps on test day can really throw you off and have a negative impact on your score. Make sure you have everything you need laid out the night before, be well rested, eat sensibly the day of and the day before so you feel alert, and show up on time, ready to succeed. 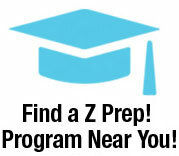 Find out more about Z Prep’s individualized SAT prep programs that are built to fit your schedule, your style and your particular needs so you can do your best on the exam.